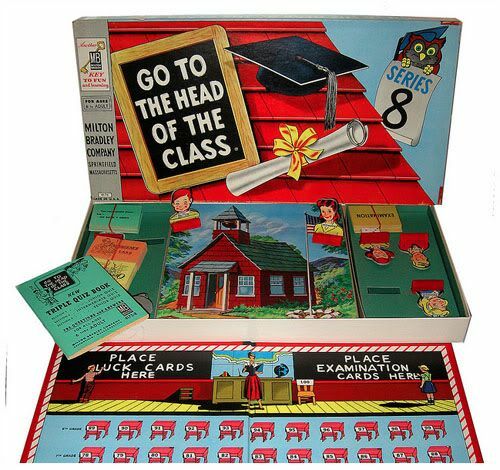 It was a simple Memory game….the box was a bit beat up, but I loved the type in the title so I stuck it in my cart. As I wheeled around the store I kept glancing at it. I decided to open it up, carefully prying the masking tape that help the sides closed. 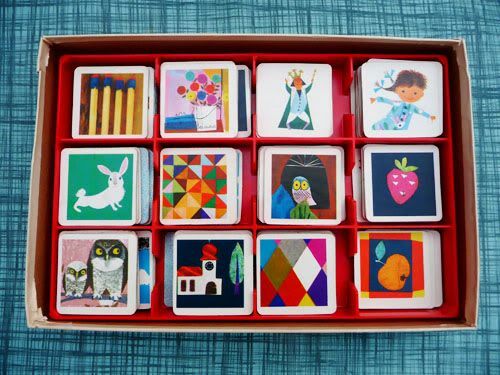 I was DEEELIGHTED to find the most wonderful collection of little picture tiles imaginable. My favorite part of thrifting is when you when find something you didn’t even know you wanted. 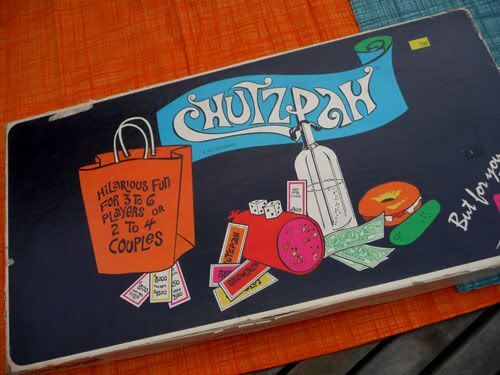 And this was like a little box of mid-century modern chocolates. Each little illustration was more special than the next. Some were actually Eames illustrations (yes, “those” Eames….) from their House of Cards deck. The others were just super cool and charming little drawings. I was smitten! And also delighted. Just when I thought I had figured out all my little “areas” in the thrift store, here was a whole new category. 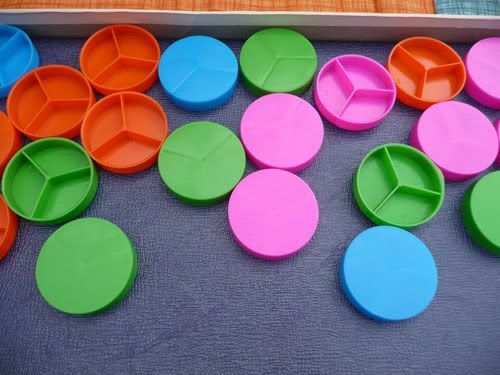 Board games! It had never really occurred to me to check that section. I remember thinking, “Have I been under a rock? Is everyone snapping up games?? 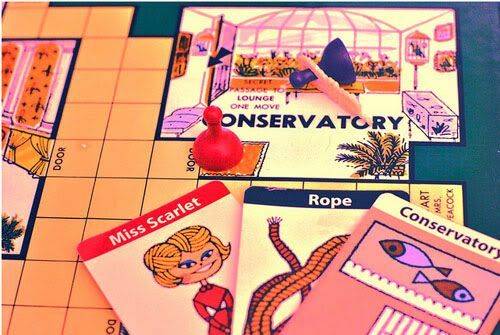 How have I missed this!” Luckily my friend Jenny said to me, “You know after you found that Memory game, I always make a point to swing by the games!” She’s a consummate thrifter so I felt better knowing that I wasn’t alone in my new discovery. 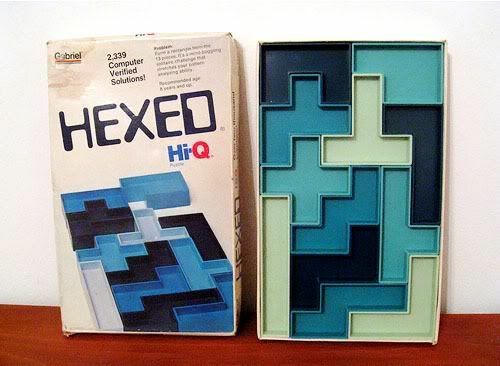 Ever since then, I always make sure I take a little stroll down the toy and puzzle aisle to look for fun board games. I’m rarely disappointed. 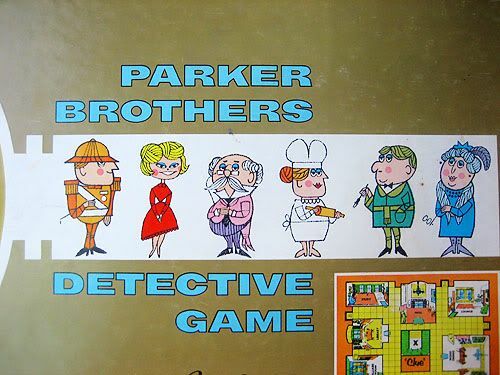 The games are usually fun (we love to play boardgames and card games) but even when they’re a little lame, the graphics more than make up for it. 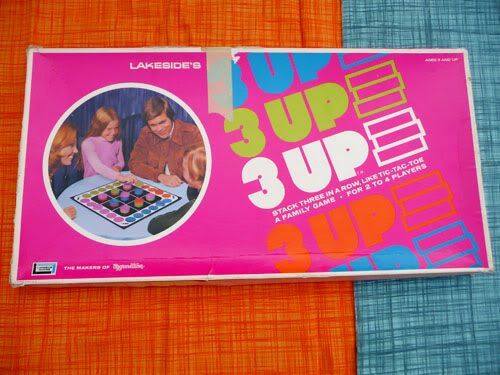 Check out the mysterious 3-Up. No clue how to play this, but I loved the colors and had to buy it! Heh. 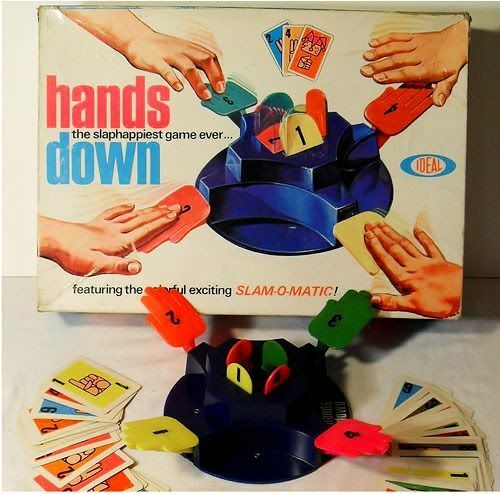 I remember this one….featuring the exciting SLAM-O-MATIC! 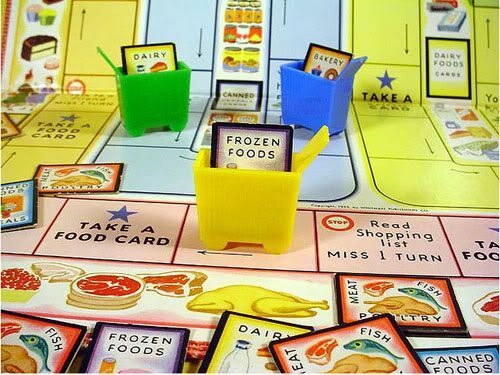 These little shopping cart game pieces are brilliant. Please note the “cootie” in the bottom right corner. 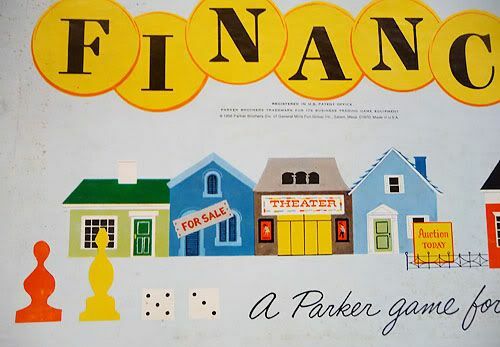 This one I left at the store—not sure I would ever be up for a rousing game of FINANCE. But I do love the cover and snapped a photo of it. Hee. 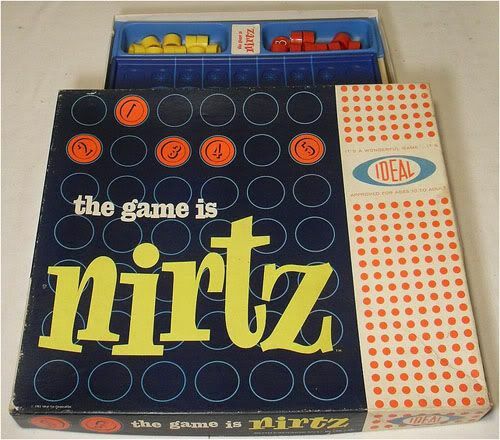 For some reason Wolfie loves this next game, even though he doesn’t really “get it”. 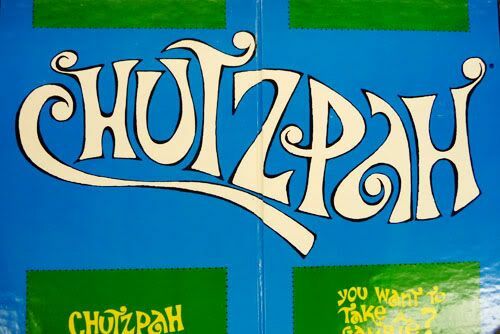 It’s from 1967 and it’s called Chutzpah. 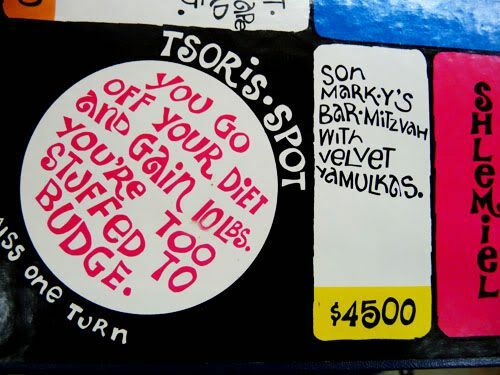 It’s essentially a Jewish version of Monopoly—a mazel to the illustrator because the lettering is pretty awesome. So sweet, isn’t it? 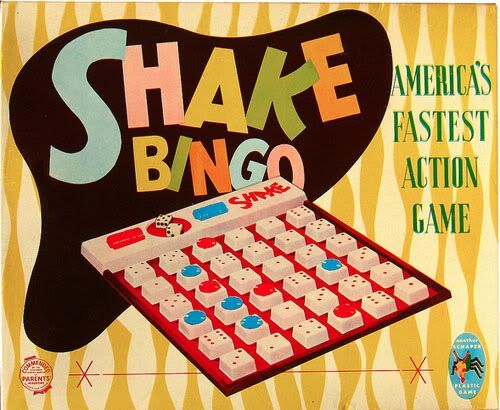 But then check out the 60s version….this is the one my cousin had in the 70s. 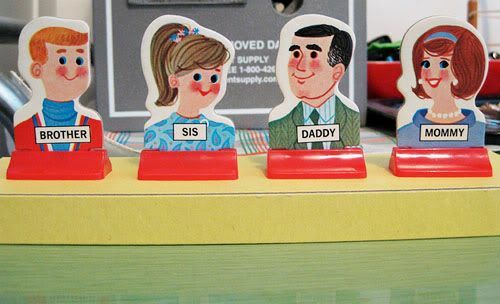 I think the illustrations on the game pieces are soooooo terrific! Butch! Susie! Cowboy Joe! Oh how I love ya. They totally remind me of Art Seiden drawings. Aw yeah, so fantastic, eh?? 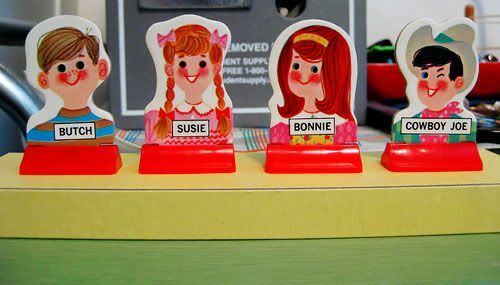 Miss Scarlet is so much sweeter than the 70s version I grew up with. I wonder who made the call, (“Let’s vamp her up!”) my Miss Scarlett was asian with a sultry stare and a red cigarette holder. A far cry from that demure cutie up there! 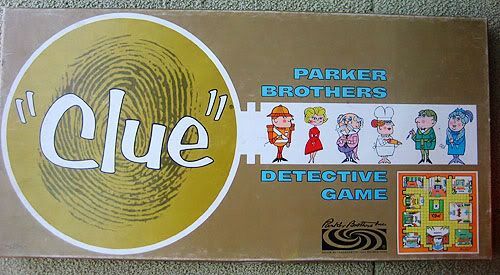 You can see more on the post I did about vintage Clue games. So there you have it. Pretty fun huh! 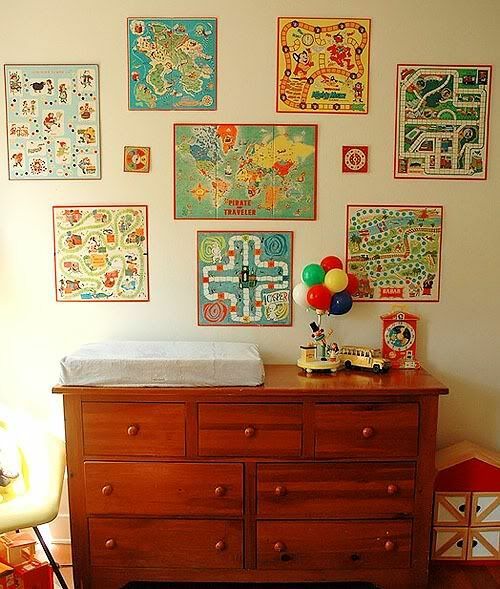 And if you don’t want to play the actual board games, you can always hang them up and enjoy them as art—which i think is a pretty swell idea. 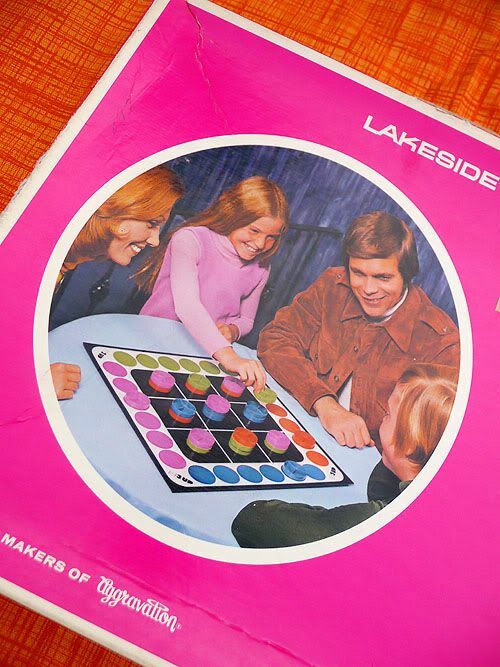 What are some of your favorite childhood board games?? Hi! 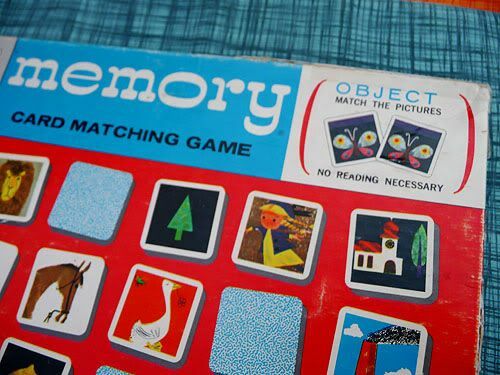 I need that memory game! Honestly, these illustrations are great. 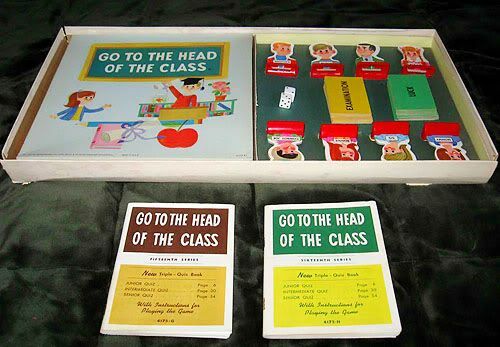 I usually only buy old books, but I’m sure I would have bought this game. I also love old flash cards and alphabets. Have a great weekend! 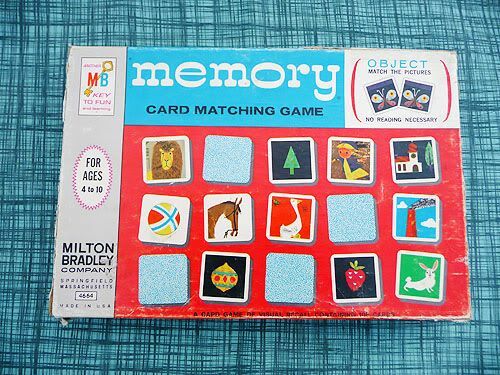 i have never seen a real life vintage memory game! i want one! 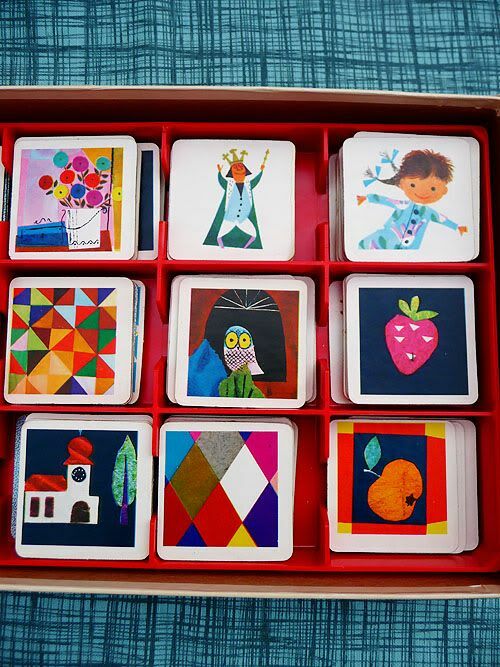 I had that Memory game when I was a kid and always LOVED the illustrations, now I play it with my kids. I had no idea that some where Eames’ illustrations. 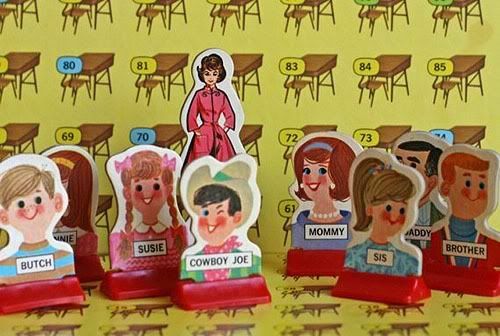 Now I want to go and frame the cards for the playroom.